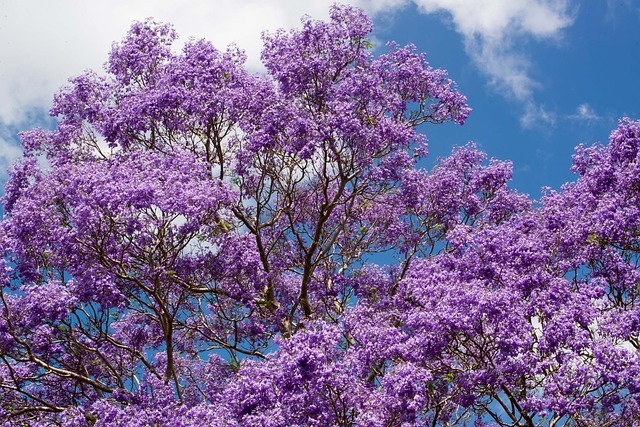 In Sydney nothing heralds the coming of summer more than the jacaranda trees coming into bloom. Mauve blooms carpet the streets, and sweet scents attract bees. An avenue of jacarandas in full bloom really lifts the spirits. It's been a month of busy edits on several books, including those coming in 2016. My secret project is developing nicely. The second draft of book 1 is finished, and I plan to write the first draft of book 2 during this month, using Nanowrimo as inspiration. All these different books on the go sometimes gets me muddled. I am not a great multi-tasker when it comes to writing. I like to concentrate on one book at a time, but sometimes that's not possible. It's also been a month of weekly visits to the hospital for my son's broken hand. He's been seeing the physio each week, and I'm impressed by the level of care he's received. Our public health care system might not be perfect, but we're lucky to have it. My son's hand healed in time for him not to have to wear the awkward splint to his Year 10 formal. It was quite something to see him dressed up in a spiffy suit looking tall and handsome (he would hate me saying this, but I doubt very much he reads my blog!). Where did the time go? It seems like only yesterday when he was a three-year-old running around in his Batman pajamas. To celebrate their 10th anniversary, Samhain Publishing is taking 20% off their books. You can pick up COURTING THE COP or DARKE LONDON. For this week only all Entangled Bliss books are 99 cents only. You can pick up my Real Men books: REAL MEN DON'T BREAK HEARTS, REAL MEN DON'T QUIT, and ONE REAL MAN. I love jacarandas! Great photo. Thanks, Jenny. I always find starting a book nerve wracking, so I'm going to just jump in and not think too hard.